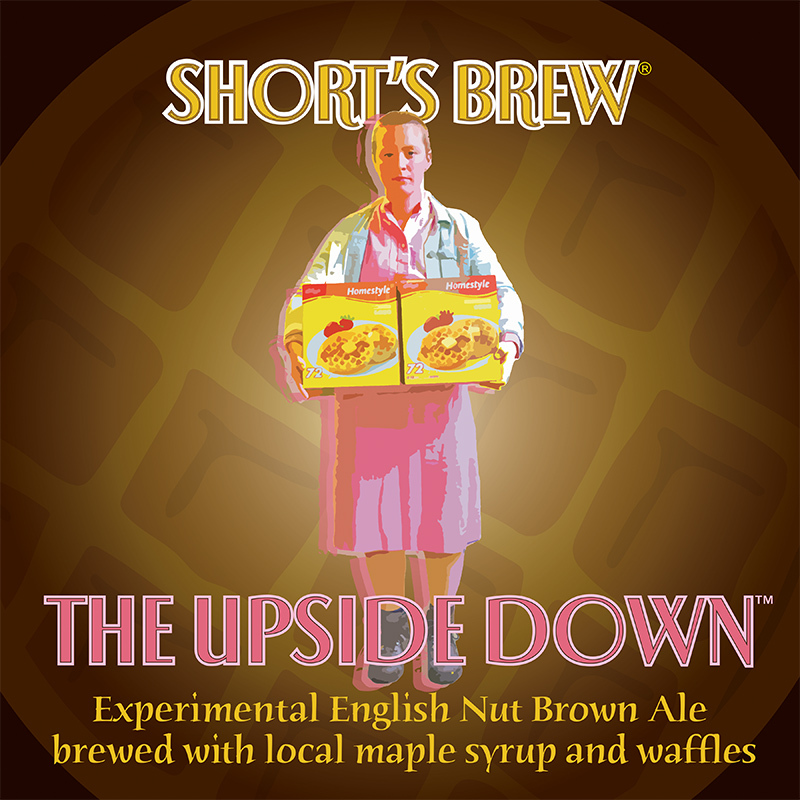 The Upside Down is an Imperial Experimental English Nut Brown Ale brewed with local maple syrup and waffles inspired by the show “Stranger Things.” Dark brown in color with a thick white head and immaculate lacing, The Upside Down smells of maple syrup and nuts. At first sip, the taster is met with a wave of decadent maple syrup flavors that compliment the malty backbone of this brew. A light bitterness leaves ample room for flavors of biscuit, chocolate, and caramel. The beer is medium-bodied with a sweet and clean finish.